It was immediately apparent that the high-end audio extravaganza in Munich was going to be different than any audio show in the world. After stepping off the airplane and departing the gate, I was greeted with a large advertisement for Munich High End. Going into the city on the Lufthansa bus, I noticed a couple more billboard ads, inviting residents to come and “Listen to the music!” at the show. This campaign appeared to be effective as more females, families, and younger people were in attendance than at your typical audio show. While the sheer number of exhibitors in this year’s ultimate high-end show was down 2% from last year, there was certainly no shortage of mouth-watering products. 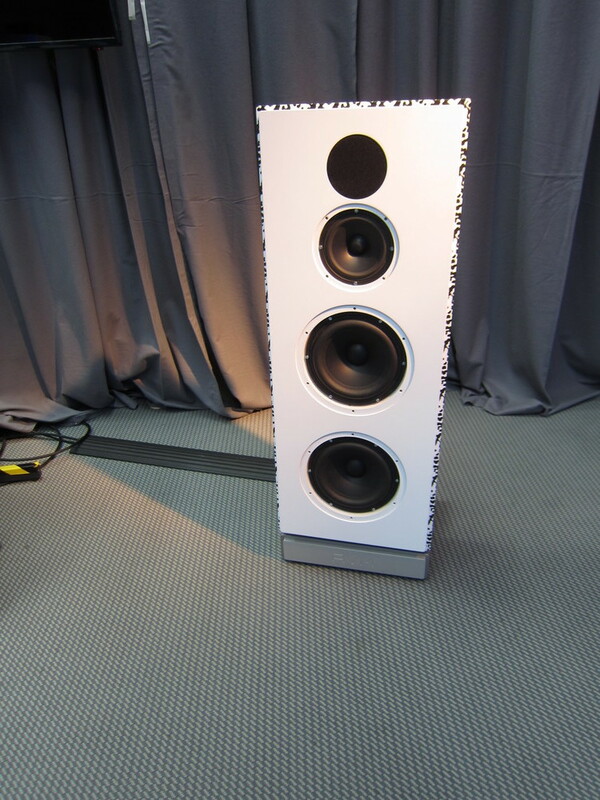 Most exhibitors showcased their flagship loudspeakers in live demonstrations, making listening to products in my category somewhat challenging. However, I did hear plenty of high-value transducers during the course of the show, as well as see a couple of others that look very promising. 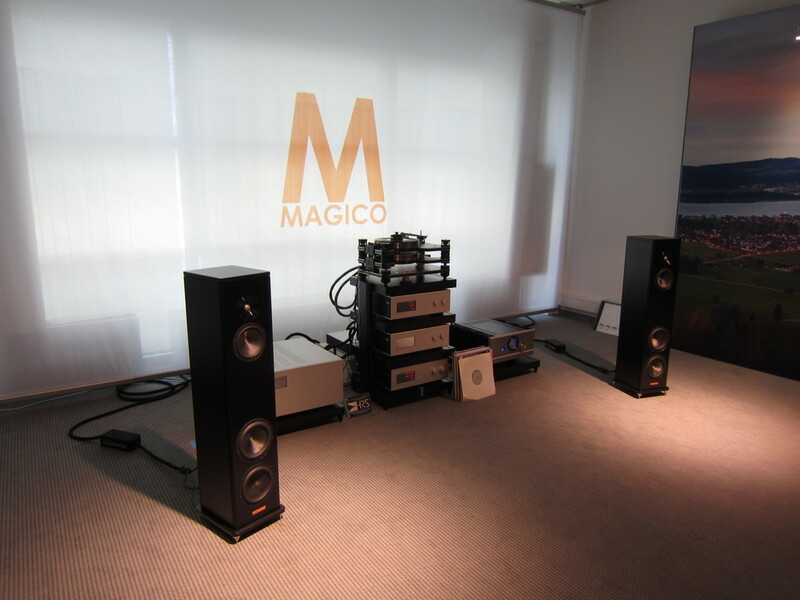 Although the new and most affordable Magico ($9800) sounded better at the recent AXPONA Show in Chicago (the rooms at the MOC were quite challenging), there was plenty of Magico magic emanating from the company’s newest addition. Driven by a Pass Labs integrated and a Kronos ’table, with MIT entry-level cables, the A3 disappeared like a great mini-monitor but had more bass and body than a mini. The A3 sounds like a Magico in the company’s more expensive Q series, with great clarity and the ability to reproduce hall ambience quite well. It sports a fully braced aluminum enclosure, a newly designed Magico pure beryllium-diaphragm tweeter (based on the M Project tweeter but without the diamond coating), carbon nanographene cones, a neodymium-based motor systems, and Magico’s elliptical crossovers. There’s a lot of trickle-down technology here and that makes for a speaker that could very well be a game-changer in this category! This three-way ($4k/pr.) from JBL made its European premier in Munich. Its inclusion on this list may come as a surprise, since it does not have a neutral frequency balance and has some box colorations, but it sure is a lot of fun! Driven by Mark Levinson electronics and turntable system, it makes you think you’re listening to the PA during a live concert. One of its most remarkable characteristics is the ability to reproduce the power of a big band or heavy metal rock group without compression. This speaker is a big improvement over the iconic L100 with better imaging and bass articulation and extension. It has lots of presence and punch, and it seems like a great party speaker. (It’s difficult not to get up and dance while listening!) Stands are optional. With the addition of a new turntable, produced in conjunction with EAT, and its active AM6.3 speakers (€14,900/pr. ), AVM offers a complete system solution. 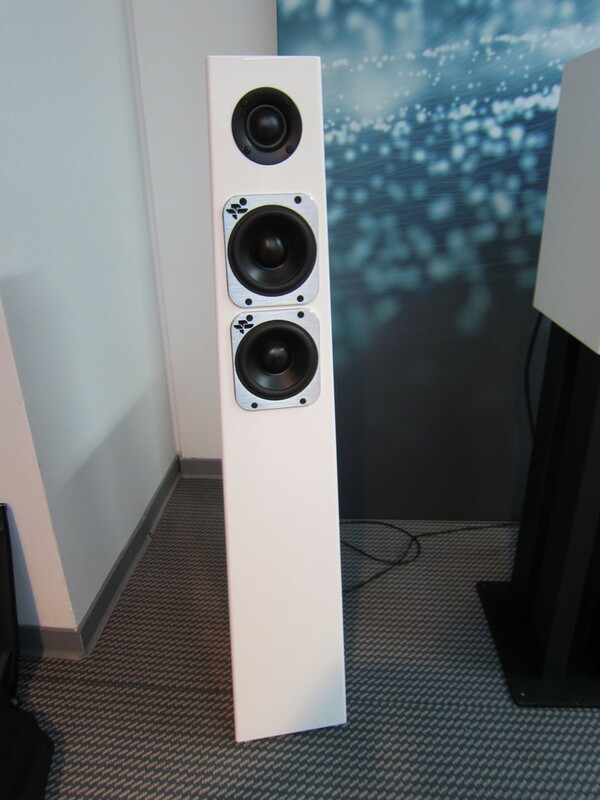 This AVM floorstander is a 3.5-way active monitor with 1750W of amplification in each speaker. The tweeter employs an optimized waveguide to produce a wide soundstage. It also features high-performance DSP crossovers to optimize the speaker in different rooms/locations, and an optional wireless connection to AVM’s CS electronics. Although I did not hear it with the wireless option, this powerful transducer produced lots of impact and presence across a wide soundstage with very good detail. Designed by DALI from the ground up, the active Callisto 6C speaker, which made its debut in Munich, uses the magnet system from DALI’s highly regarded Rubicon series with twin 6.5” wood-fiber woofers and a hybrid tweeter module, combining a dome tweeter with a ribbon tweeter. It includes internal 50W (250W peak) DALI-developed Class D amps with two amps per speaker. One can connect an audio device directly to the speakers or add the DALI Sound Hub for wireless audio at 24 bit/96kHz. The Sound Hub also accepts a BluOS module for multi-room control. The Callisto 6C has a lot of the same sonic characteristics as DALI’s separate passive speakers—namely, low distortion, solid bass, and very good clarity. It offers users convenience without an apparent sonic penalty for going wireless. $5298 with DALI Sound Hub (optional BluOS NMP-1 Module is $449). While I had hoped to hear this little two-way gem, this promising speaker was unfortunately only on passive display in Munich, although it is currently shipping. The TuneTot (starting at $9800/pr.) 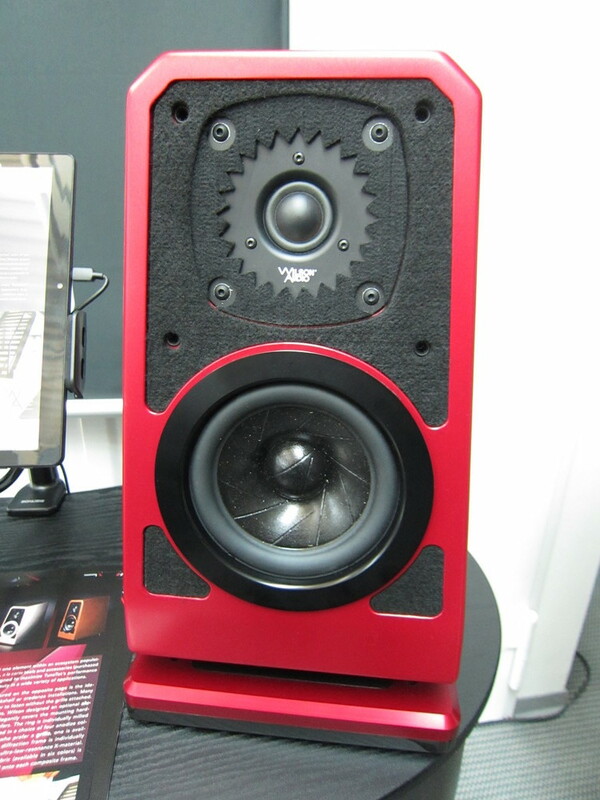 is designed to be placed on a bookshelf or other near-boundary table, and it uses the same wonderful tweeter as the Wilson Yvette I recently reviewed (the midrange driver is also similar to that of the Yvette). The TuneTot is not designed to be stand-mounted (buy the Sabrina or Yvette instead) and an optional ISOBase ($2100/pr.) can be used as a platform to reduce resonances on the bookshelf or desktop where the TuneTot is situated. Daniela Manger was showcasing a new passive loudspeaker, the p2 (~$16k), which features a Manger sound transducer (a bending-wave driver) which handles frequencies from 360Hz to 45kHz along with an 8” woofer and two passive radiators made of the same material as the woofer. The magnet system is optimized for low distortion and it works very effectively. Driven by Mola Mola electronics and sourced by a Scheu ’table, the p2 sounded very clean and remarkably coherent. Fortunately, designer Andrew Jones walked me through these designs, as they were both on silent display. Both Argo speakers are active with separate internal BASH amps for the woofer and midrange drivers, and a Class AB amp to drive the tweeter. 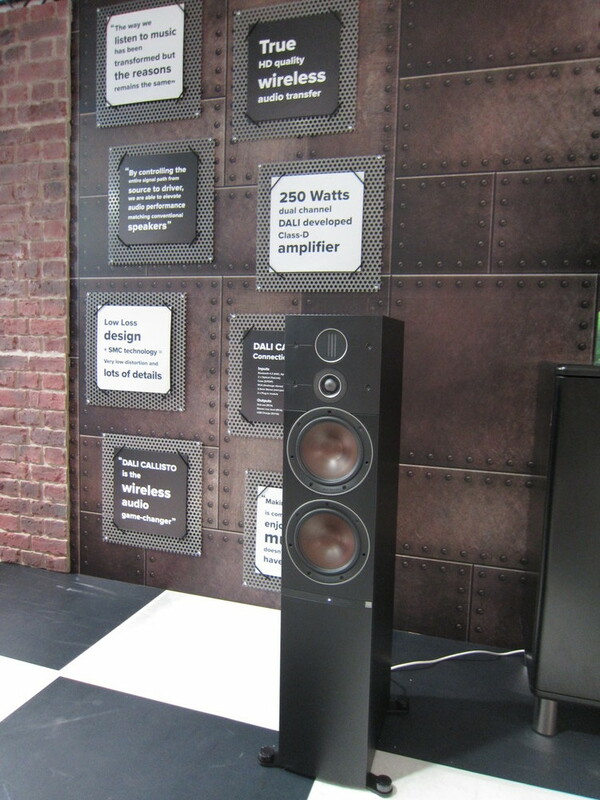 A hallmark of Andrew Jones’ designs is the use of concentric tweeter and midrange units. All drivers are new with aluminum cones. These babies also utilize AIR-X2 wireless technology. I can’t wait to hear them! I’ve always liked Piega speakers and wish they were more readily available on these shores. Driven by Primare electronics, the Piega Coax 511 (€11,800/pr. ), introduced last year, sounded very detailed with great transient response, very good imaging, and solid and extended bass. The blend between the lightning-quick planar driver and the speaker’s four dynamic drivers was quite good and produced a very engaging sound with excellent transparency. Technics premiered this network wireless speaker system (€749), which features three mid-range and three tweeter drivers along with an integrated subwoofer in a small tabletop enclosure. It also includes a built-in microphone for room calibration and optimization. Its Space Tune feature provides room correction to enhance the sound wherever the unit is placed. The SC-C50 supports a variety of digital formats including WAV and FLAC files from 384kHz/24-bit down to MP3. Shipping is scheduled in September. 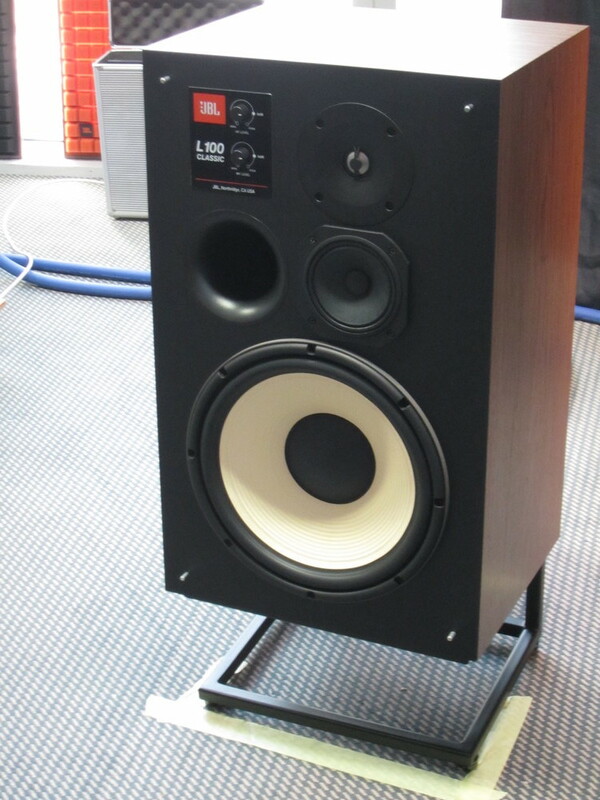 A couple of exciting products that did not premier in Munich were also noteworthy for their fine sound. A system with Wilson Sabrina ($15.9k) speakers driven by a Pass Labs integrated and using Shunyata Research Denali power conditioners and cables produced perhaps the best sound in my category with very good soundstaging, transparency, clarity, and timbre. The MartinLogan ESL 11A speakers (driven by Anthem electronics and using dedicated ML 210 subs) were new in Munich, but have been shown in North America. The 11A offers a better blend between the bass drivers and the panel, as evidenced on the Elgar Cello Concerto, and produced lots of fine detail with very good clarity and soundstaging. Crystal Cable’s Arabesque Minissimo speakers were bi-wired with the company’s Absolute Dream cables, allowing the speaker to produce much better bass without a sub. It’s the best I’ve heard these little marvels sound. Polk Audio premiered a prototype of its Signature speaker (~€1200) with Marantz electronics, producing a very spacious soundstage, solid bass, and a somewhat tilted-up treble. It should be in production later this year. Dynaudio introduced a revised Confidence line in Munich with the Confidence 20 stand-mount speakers ($13k) landing in my price category. 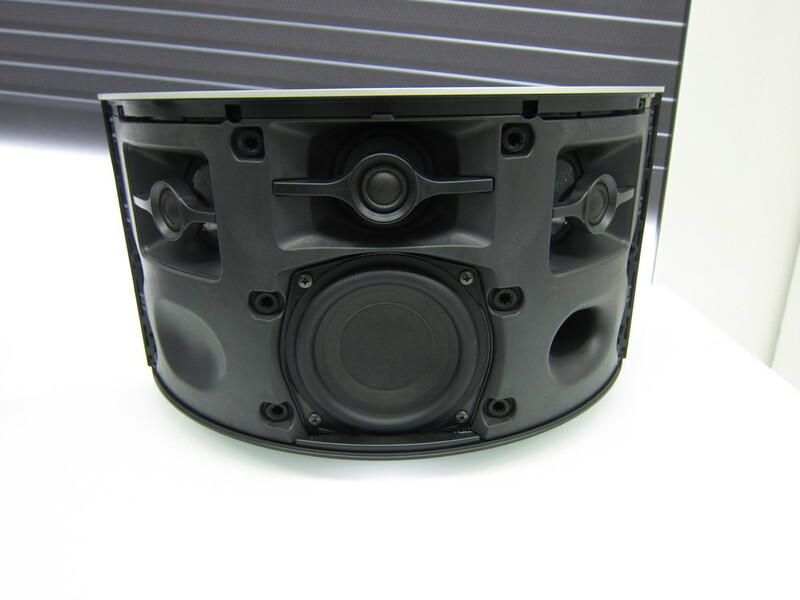 The 20 utilizes an Esotar3 tweeter and 7” woofer, and comes with its own stand. Unfortunately, it was on silent display. 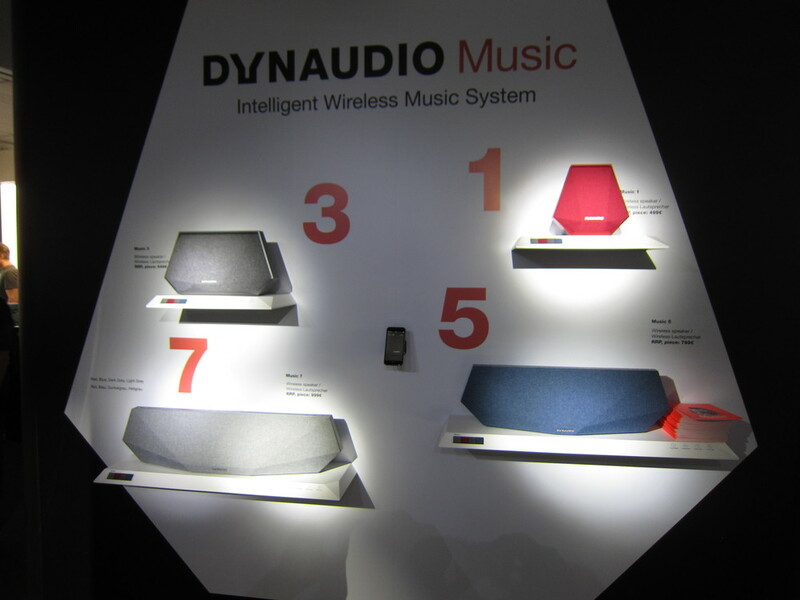 However, there seemed to be a lot of buzz in the Dynaudio exhibit for its line of all-in-one “Music” wireless music systems starting at $549, which are a lot of fun and sound pretty good, too. 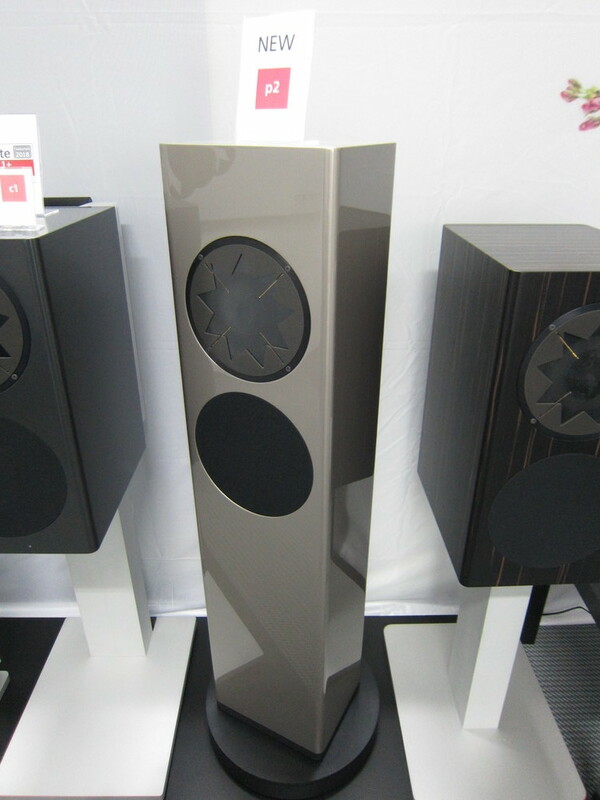 Sonus faber also silently displayed its Sonneto line of more affordable loudspeakers. They reportedly use technology from the company’s higher-end loudspeakers and are scheduled for release in July. French loudspeaker manufacturer, Triangle, announced that its newest release, the Australe (starting at $4k/pr. ), is currently available in the USA. It features a second tweeter at the rear of the speaker to reduce directivity, new bass drivers with low frequency extension to 29Hz, and a unique vibration absorption system to dampen vibrations. The awesome Zellaton Statement loudspeakers, with their breathtaking transparency, stunning coherence, and natural timbre, totally captivated me. This system, driven by YS Sound electronics, with a Soulution 755 phonostage with Reed 3C turntable system with Audio Technica AT-ART1000 and Schnerzinger wiring and Giga Protection, came closest to putting the performers in the room at the show. Other amazing systems included the MBL X-Treme Reference System, Magico M6 loudspeakers with a Kronos front-end and Soulution electronics, Vandersteen Model 7s with Vandersteen amps and a Brinkmann turntable system, a revised Focal Grand Utopia with Naim electronics, Rockport Lyra driven by Absolare’s wonderful new hybrid mono amps, and Wilson Alexia Series 2 speakers driven by Constellation electronics (Centaur II monos, Virgo III preamp) and turntable, or the same speakers with a dCS front-end and a D’Agostino S250. My usual high-value candidates from Golden Ear Technology, Magnepan, and ELAC were either on silent display or not seen. In my category, the Wilson Sabrina ($15.9k) driven by a Pass Labs integrated and emmLabs front end, as well as the Magico A3/Pass Labs combo produced highly engaging and refined sound at prices within reach of many audiophiles and music lovers. A tie between the Magico A3 and the Wilson Audio TuneTot. Active and wireless speakers offering greater convenience and simplicity were in abundance in Munich, including more single-box systems. The Zellaton Statement had me hoping I would win the lottery!